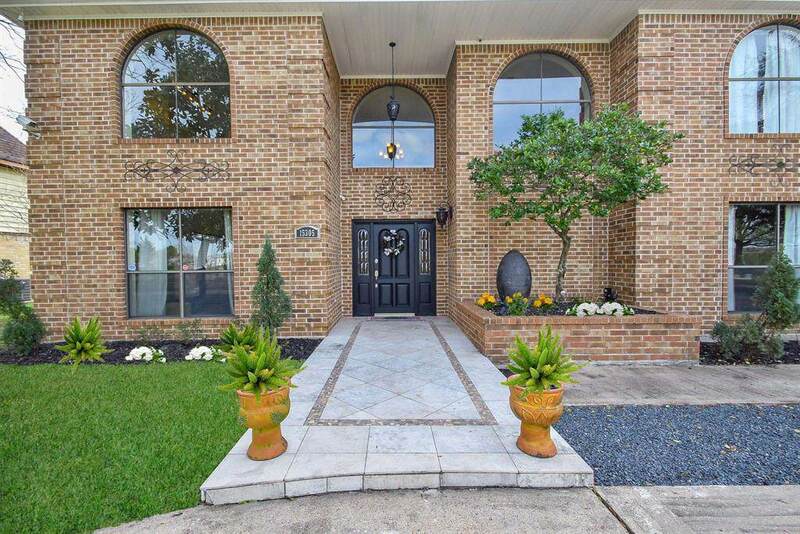 Everything's Bigger in Texas, especially this Estate Style Jersey Village home! Nestled among mature trees in the back of the neighborhood on an ENORMOUS lot, this Beautiful Brick home boasts 5/6 bedrooms, 5-1/2 bathrooms, an office, & 3 flex rooms on the 3rd floor. 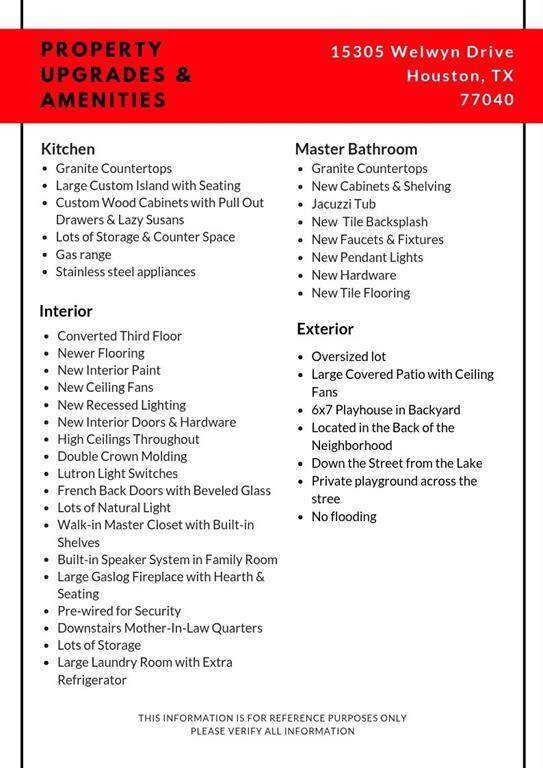 The HUGE family room adds to the Fabulous Flow from the formals to the kitchen then the Family Room to the outdoor Living Space (Covered Patio) where a sidewalk takes you to an outdoor playhouse. 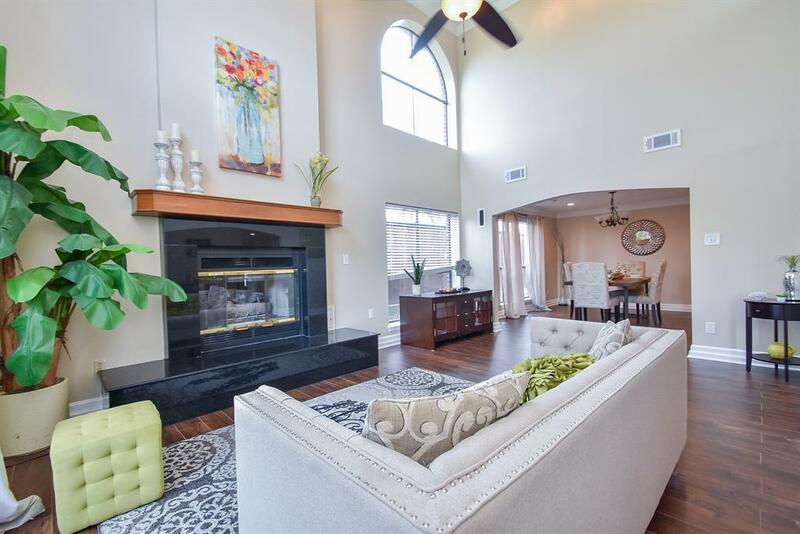 Great for Entertaining, your guests will love the Soaring Ceilings, Chef's kitchen with Custom Wood Cabinets, Gorgeous Granite & stunning Stainless! 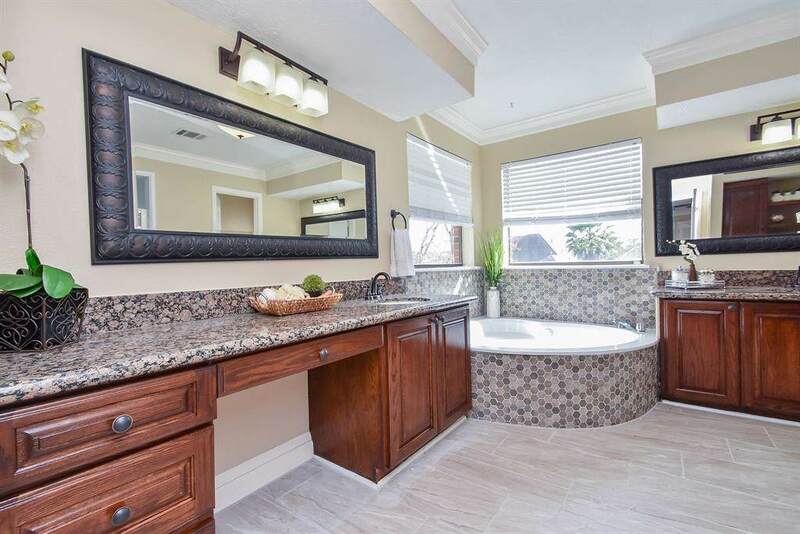 Freshly painted throughout, you will adore the updated Luxury Master bath, newer floors, & all the Natural Light. The exterior of the home was designed for maximum parking while still leaving plenty of greenspace. Down the street from the lake and conveniently located by the beltway, access to all parts of Houston is Amazing! Luxury Lifestyle without the Luxury price. Come tour today.